When bassist and composer William Parker released the triple album For Those Who Are, Still, I incorrectly assumed that any future ambitions the modern jazz icon would have wouldn't be on such a large scale. Voices Fall from the Sky demonstrates that, even as a sexagenarian, Parker can still deliver the goods in large packages. This is a triple album comprised entirely of vocal pieces, some old, some new, some jazz, some wildly not, and some arranged in wholly original ensembles. There are 17 different vocalists lending their expertise over 34 tracks lasting three hours and 15 minutes. Even if some of this material is recycled (in the most technical sense of the word), it's still an achievement suitable for everyone's gawking. To call it a jazz album is akin to assuming that a fancy buffet is out to focus on only one dish. It may not be one of jazz's best albums of the year, but it's still one of the best albums of the year. The three discs that comprise Voices Fall from the Sky follow their own loose themes. The first one, named after the album, is all new material and features an enormous cast of musicians. The featured vocalists are Omar Payano, Raina Sokolov-Gonzalez, Andrea Wolper, Bernardo Palombo, Jean Carla Rodea, Kyoko Kitamura, Fay Victor, Amirtha Kidambi, Timna Comedi, and Morley Shanti Kamen. To name every instrumentalist would take up even more room, though it's worth mentioning that some of jazz's most valuable hired hands, as well as Parker's mainstays, are helping out -- pianist Cooper-Moore, trombonist Steve Swell, drummer Gerald Cleaver, and pianist Eri Yamamoto, just to name four. If we're going to talk about genres, things start to sway from the jazz path as early as track four, "City of Flowers", which sounds like Andrea Wolper was suddenly possessed by the ghost of Schoenberg and a case of the hiccups while Karen Borca's bassoon and Masahiko Kono's electronics try to exorcise the demon within. "Despues de la Guerra" switches gears to a Latino-meets-12-tone-scale attack for two guitars. Parker may steer things back to the jazz idiom eventually, but that doesn't make it traditional sounding in any sense. "We Often Danced" combines soulful saxophone and muted trumpet and a modern string section for over 14 minutes so that Fay Victor could give a mostly spoken-word performance outlining the story of African-Americans trying to find something to live for during times of slavery. The disc wraps up with "A Tree Called Poem" where Morley Shanti Kamen and William Parker keep the song a duet for over eight minutes. "Light dances off sparkling buildings" she sings with all feeling and no effort. The second disc is simply named "Songs". Here, Parker arranges songs from earlier in his career to suit the core vocalists of Lisa Sokolov, Ellen Christ, and Leena Conquest, with Ernie Odoom and Mola Sylla singing just one apiece. "Songs" is split into recording sessions from the 1990s and songs taken from the 21st century William Parker albums Wood Flute Songs, Corn Meal Dance, Stan's Hat Flapping in the Wind, and For Those Who Are, Still. The instrumentation has been boiled down to just Parker and a rotating bench of pianists including Yuko Fujiyama, Eri Yamamoto, and Cooper-Moore (the exception is the AMR Ensemble, who give Odoom a New Orleans dirge to sing over top of on "All I Want"). As one would expect, these songs are skeletal and vulnerable. Just a few standouts are Lisa Sokolov singing the fragile "Aborigine Song" and Leena Conquest letting is loose on "Prayer". Worth noting is the fact that Parker also penned a haunting piece in memory of Julius Eastman for the "Songs" disc: "Can you bring those who have died / Back to life to live again / To feel the rain and wind again?" 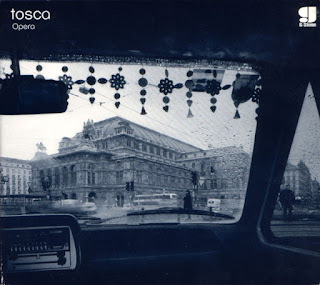 Fujiyama's piano and Sokolov's voice are a deadly perfect combination. The third and final disc is probably the most ambitious one of the three (and that's really saying something). On "Essence", Parker throws the human voice in front of a series of large ensembles like the William Parker Orchestra, and AMR Ensemble, the Kitchen House Blend Ensemble, and Parker's own Double Quartet. If you remember the bassist's 2012 double album Essence of Ellington, you have a decent idea of how well Parker handles the big band homage trick without sounding like some Duke cover act retread. Sangeeta Bandyopadhyay gives a delightfully wordless performance to the cinematic throwback tune "Lights of Lake George" from Double Sunrise over Neptune while Leena Conquest gets the final word on "Natasha's Theme" from Alphaville Suite: "They have killed all the poets / Who have cried for the world / And the children who wore numbers." The centerpiece of "Essence" is the poetically-titled "The Blinking of the Ear", a four-part suite featuring just Yamamoto on piano, Leonid Galaganov on drums and AnnMarie Sandy stretching her operatic range to sing notes of freedom, healing, and peace. 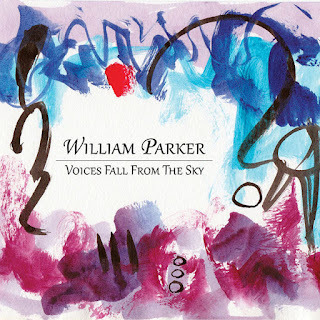 In a career full of lofty goals and incredible highs, William Parker has once again sculpted an album that will stand apart from the pack through beauty alone. Once you take into account Parker's ambitiousness and his strong sense of social obligation, Voices Fall from the Sky rests on even sturdier ground. This is an album to take with you into the next lifetime.